Plastic pollution in the world's oceans has become a global environmental crisis. Many people have seen images that seem to capture it, such as beaches carpeted with plastic trash or a seahorse gripping a cotton swab with its tail. 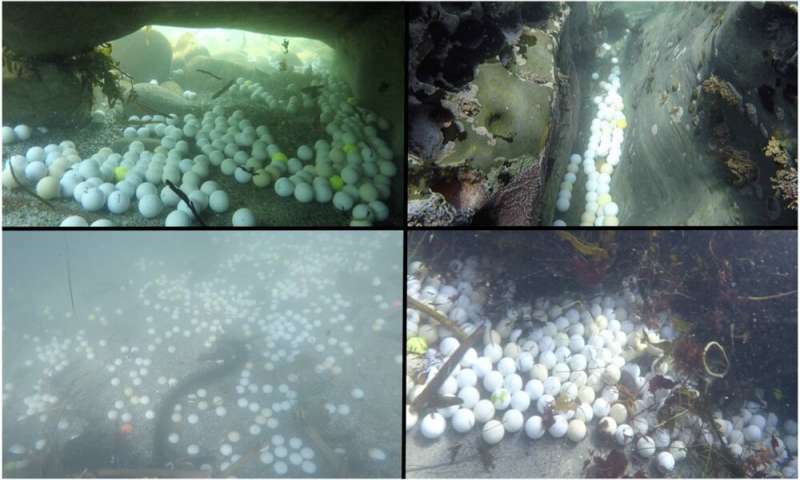 Golf balls sink, so they don't become eyesores for future golfers and beachgoers. As a result, this issue had gone largely unnoticed. 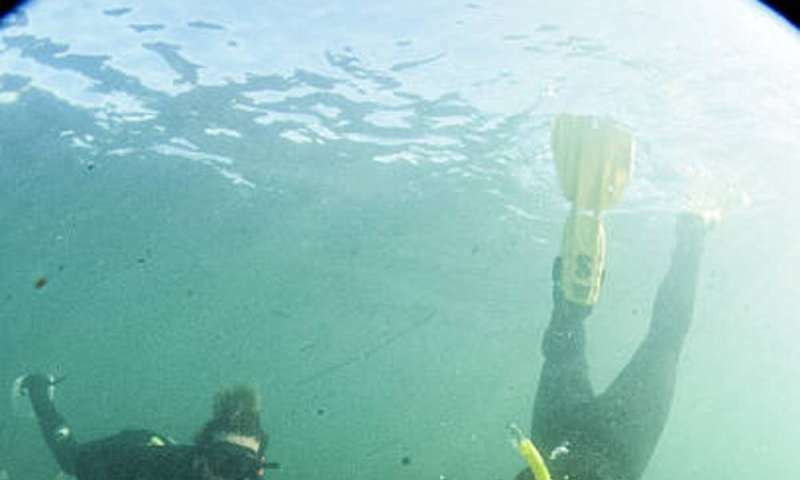 But Alex had stumbled across something big: a point source of marine debris – one that comes from a single, identifiable place – polluting federally protected waters. Our newly published study details the scope of this unexpected marine pollutant and some ways in which it could affect marine life. Alex, her friends and her father paddled, dove, heaved and hauled. 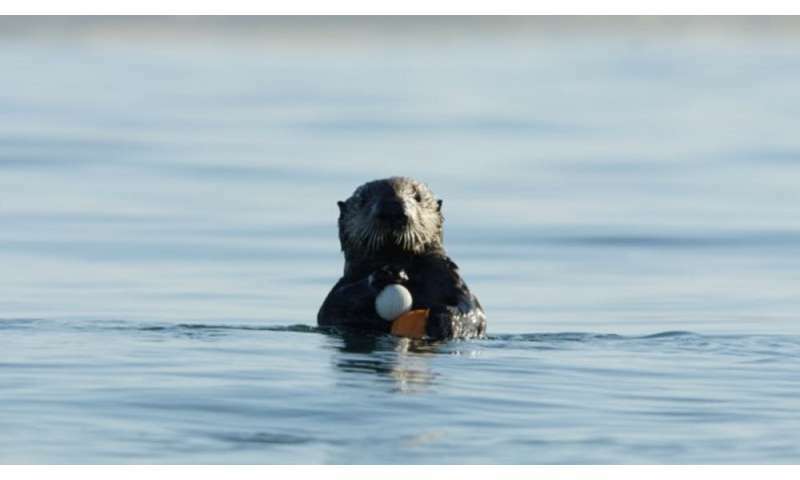 By mid-2018 the results were startling: They had collected nearly 40,000 golf balls from three sites near coastal golf courses: Cypress Point, Pebble Beach and the Carmel River Mouth. 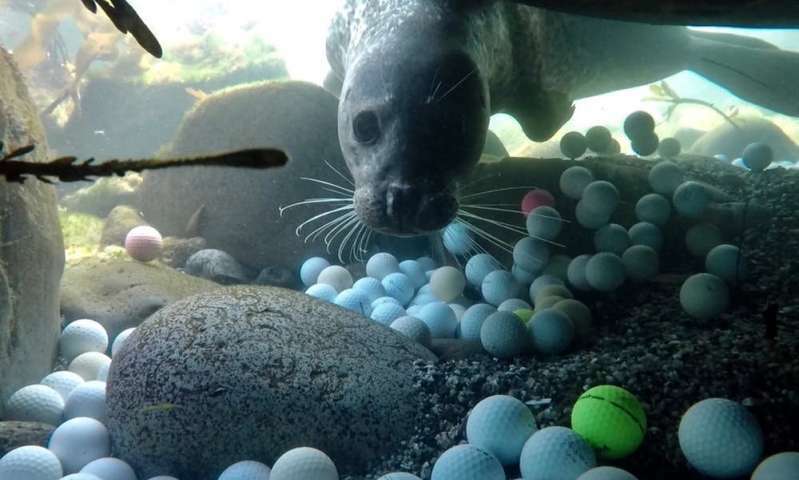 And following Alex's encouragement, Pebble Beach employees started to retrieve golf balls from beaches next to their course, amassing more than 10,000 additional balls. Could tailored golf balls improve putting performance? That's solid evidence of a non-climate anthropogenic impact on earth.